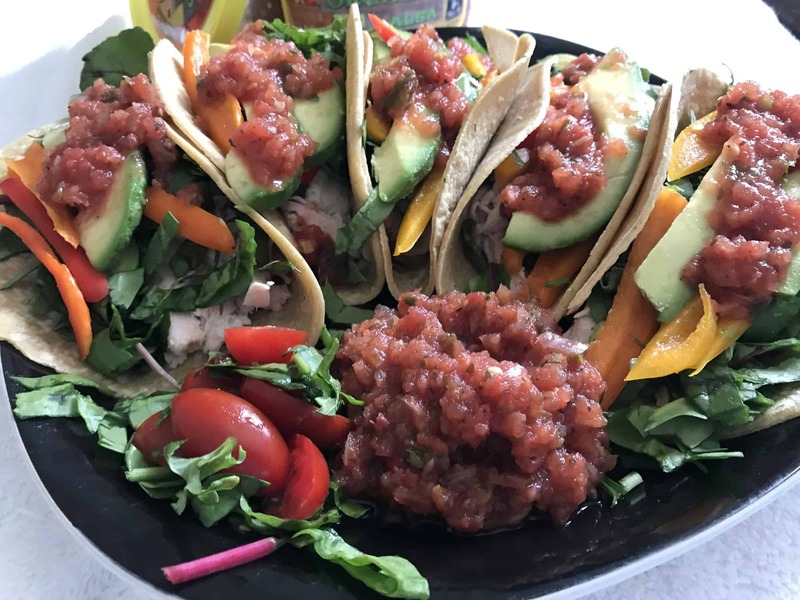 Fresh nutrition Rotisserie chicken tacos. 1. Pull apart the rotisserie chicken set aside 2. Cut all produce greens, avocado, bell peppers tomatoes. Set aside 3. Warm up tortillas wrap them in a kitchen towel set aside. 4. Warm up chicken 5. Assemble your tacos??? 6. Top with El Sol ☀ Salsa and enjoy!